Robertos Carlos is currently part of Anzhi management team and he already has a few targets assigned to strenghten the club. According to the former Real Madrid legendary player, the powerful Russian side, FC Anzhi Makhachkala, will come after Cristiano Ronaldo in a near future. FC Anzhi is one of the emergent teams in Russia, and they certainly are not deprived from a "fat" bank account. Roberto Carlos, one of the club's new assistant coaches, has been assigned with a special task, which involves bringing the best football players in the World to Russia, including names such as Cristiano Ronaldo or Carlos Tevez. While the likelihood and the intents of signing Carlos Tevez could actually be taken seriously, at this point probably no one in the World believes that a Russian club could actually have a chance in signing Real Madrid's super star, Cristiano Ronaldo. In the other hand, with all the recent controversy going on with Tevez and Manchester City, rumors of a transfer move for the Argentinian have been growing on a daily basis. German Tkachenko, a player agent who recently transfered Yuri Zhirkov from Chelsea to Anzhi, in a 15 million euros transfer fee, revealed that we could be having breaking news anytime soon: "Regarding the Zhirkov deal, I can tell you that Mr. Abramovich told us to go away ten times before agreeing to sell Zhirkov. ", said the agent, who assumes intentions of pressuring Manchester City until they succumb to pressure. It's important to remember that Tevez situation in City, deteriorated after the Argentinian allegedly refused to warm up and step on the pitch, against Bayern Munich, in a UEFA Champions League game. When moving back the subject to Cristiano Ronaldo, the scenario necessarily drastically changes. The Portuguese player has confessed his love for Real Madrid for several times and despite his intents of not wanting to close the door for a future transfer, he affirmed several times that could also end his career in Real Madrid, if both parties agree on that. 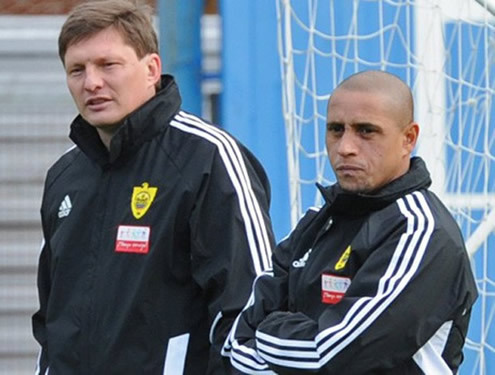 Anzhi should probably aim at different targets, but even knowing that, Roberto Carlos shows confidence and says the club owners won't settle back since they want to give the club the same quality players as Real Madrid or Barcelona currently have. Roberto Carlos: "I would love to sign and coach Cristiano Ronaldo. ", said the left-back when talking to the spanish show "Punto Pelota". The Brazilian also showed his good humor and joked with the fact that Anzhi could add another star to their roster soon, if Real Madrid doesn't make a move on Neymar, from Santos. Roberto Carlos: "I've also talked with Neymar and if Barcelona or Real Madrid don't sign him soon, Anzhi will get him!" 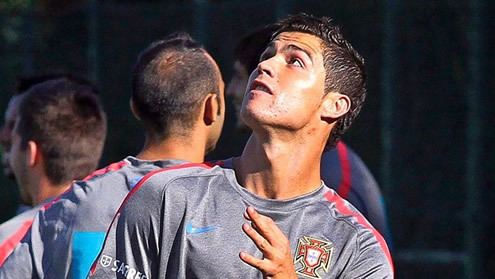 Cristiano Ronaldo is united with the Portuguese NT, preparing the matches against Iceland and Denmark. You can watch Juventus live stream, Portugal vs Iceland live stream, in our Football Live Streams section, which will be played today (07-10-2011). The countdown clock timer, displaying the time left for the next Ronaldo game, is shown on the top right corner of all pages. Today, you may also watch Montenegro vs England live and Czech Republic vs Spain free stream, both streamings provided from our "Live" section.